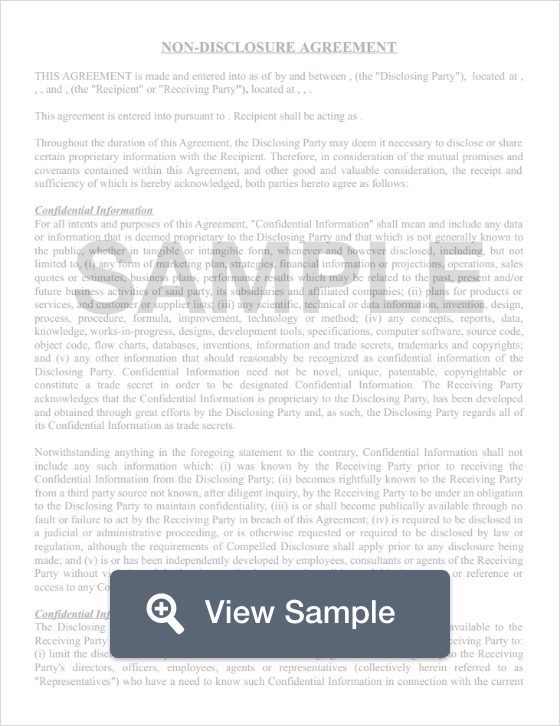 What is a South Dakota Non-Disclosure Agreement? South Dakota Non-Disclosure Agreement: What Is It? A South Dakota non-disclosure agreement is also known as a confidentiality agreement. A South Dakota non-disclosure agreement can be included in an employment contract or it can be used on its own. When an employee or a contractor signs a South Dakota non-disclosure agreement, they are entering into a legal contract to not reveal business or trade secrets. South Dakota’s Uniform Trade Secrets Act, SD Codified L §§ 37-29-1 through 37-29-11, regulates the creation and use of NDAs to protect trade secrets. South Dakota non-disclosure agreements play an important role in the business environment by protecting information known within the NDA as “trade secrets.” South Dakota’s Uniform Trade Secrets Act provides a legal definition of what sort of information may be protected as a “trade secret.” A trade secret is defined in paragraph four as information such as a formula, pattern, compilation, program, device, method, technique, or process with its own potential or actual independent monetary value. This information gains its value because it is not information known by the public or that another business could somehow figure out during their own business practices to use for their own gain. If a business wishes to have information protected as a trade secret, they must take reasonable steps to keep that information private. The Uniform Trade Secrets Act explains how businesses can protect their trade secrets. It also explains how trade secrets law works together with other laws within the state. To get the most protection for business secrets, use this contract along with a South Dakota noncompete agreement.